FAITHTHINK recommends the GUMROAD app to read and manage your PDF eBooks! What did Jesus mean when He told His followers to make disciples of all the nations? Did that mean that they were to “get them saved” ? Make them members of the local church? Teach them creeds and doctrines? Baptize them? The Church has overlooked the undeniable fact that not only did God choose to reveal Himself through the Hebrew people, language, and culture; but that He continued to do so throughout the “New Testament.” The Church has nothing left to lose and everything to gain by returning to the original patterns of life, scholarship, liturgy, and fellowship that marked the original Way of a Disciple of Yeshua of Nazareth. Much ink and venom have been spilled over the Question of what tongues was in the New Testament and what, or even if, it should be today. 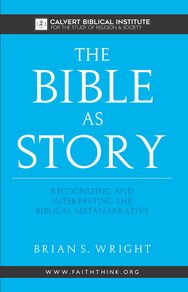 Most of the dialogue on the topic has been rooted in denominational dogma, cultural tradition, and personal experience instead of clear exegesis of the New Testament texts. Therefore, if anything in Acts or the rest of the New Testament is to be rightly understood, it must be read and understood within the socio-religious context of the people who first heard and read it. Within the New Testament, any theological or religious idea was understood by Hebrew/Israelite/Jewish people in the context of the Law, the Prophets, and the Writings, i.e., the Old Testament. It is within this framework that the issue of 'tongues' should be considered. event, book, character, command, law, prophecy, poem, and proverb contributes to the highest story humanity has ever known - that of its own fall and redemption. If God/YHVH is all powerful, why did He require Jesus/Y’shua to die on the cross? Why didn’t He just fix it? These fascinating concepts, and much more are explored in Blood & Seed: What is the Eden Story Really Telling Us? This book was originally published in 2010 as Blood & Seed: What Really Happened in Eden? That original edition is presented here, with the inclusion of a new introductory section, previewing the additional insights and resources that will be included in the second edition. ​Blood & Seed: What is Eden Really Telling Us?